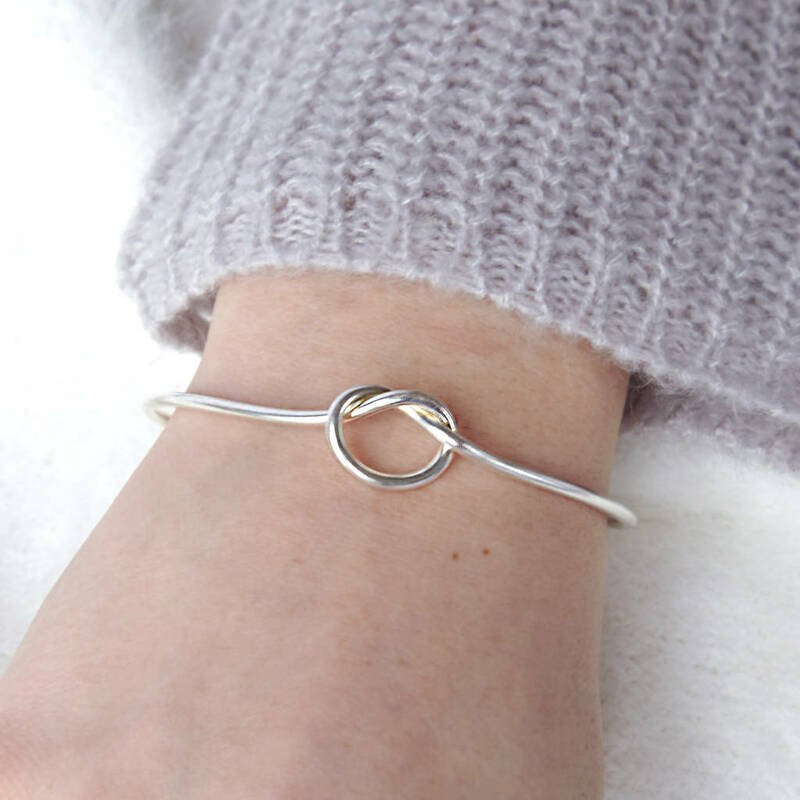 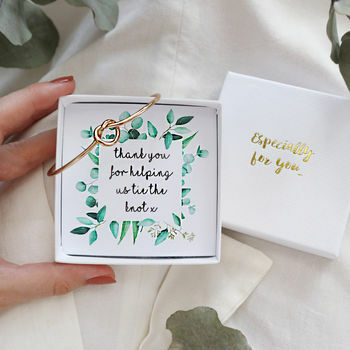 Unique infinity knot bracelet with gift box and botanical card reading 'Thank you for helping us tie the knot'. 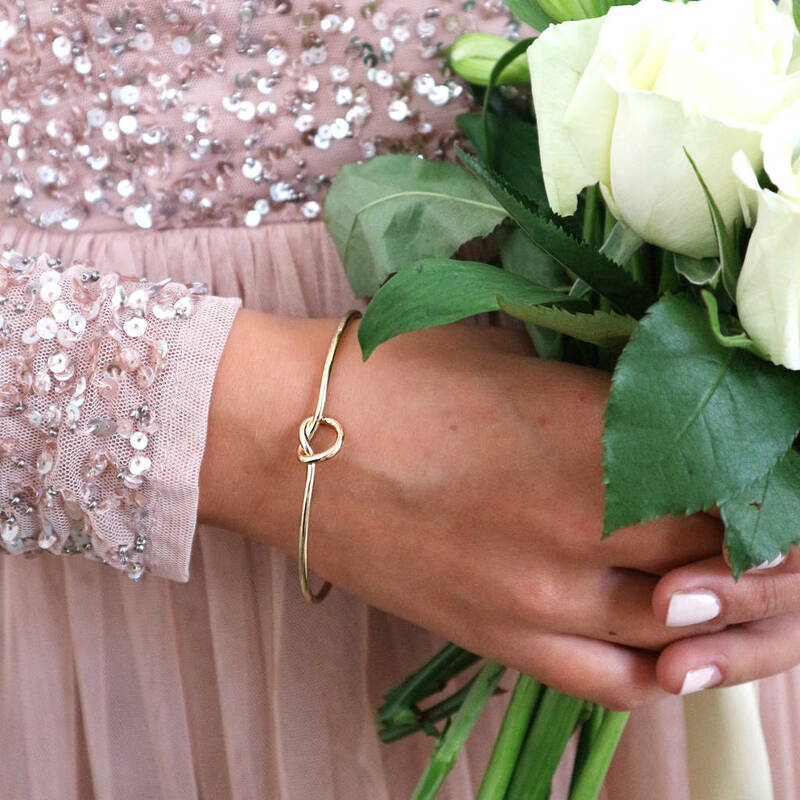 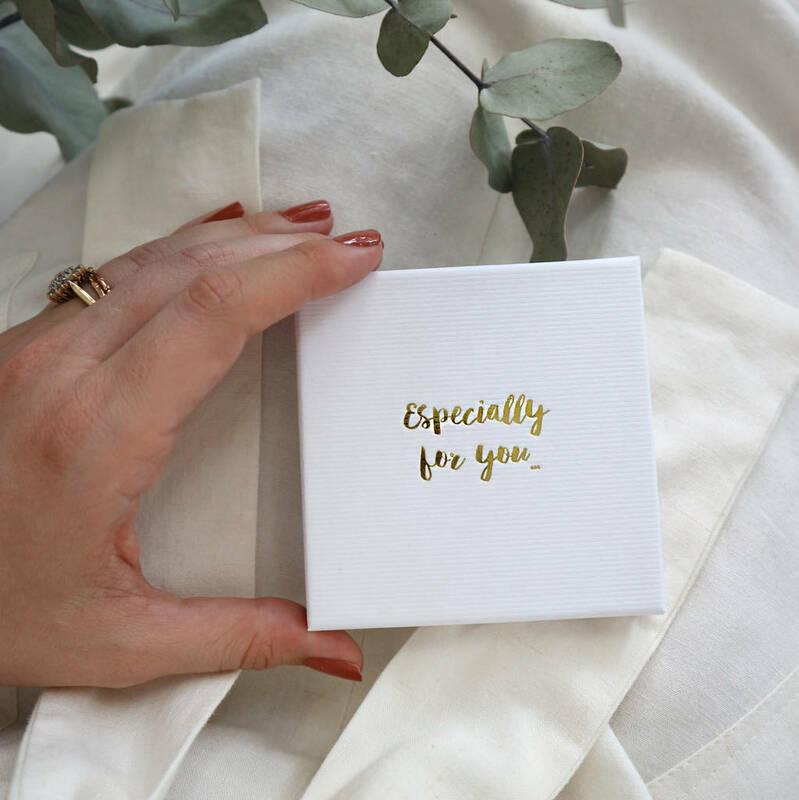 Your bangle will arrive in a white eco friendly gift box with 'especially for you..' embossed in gold foil. 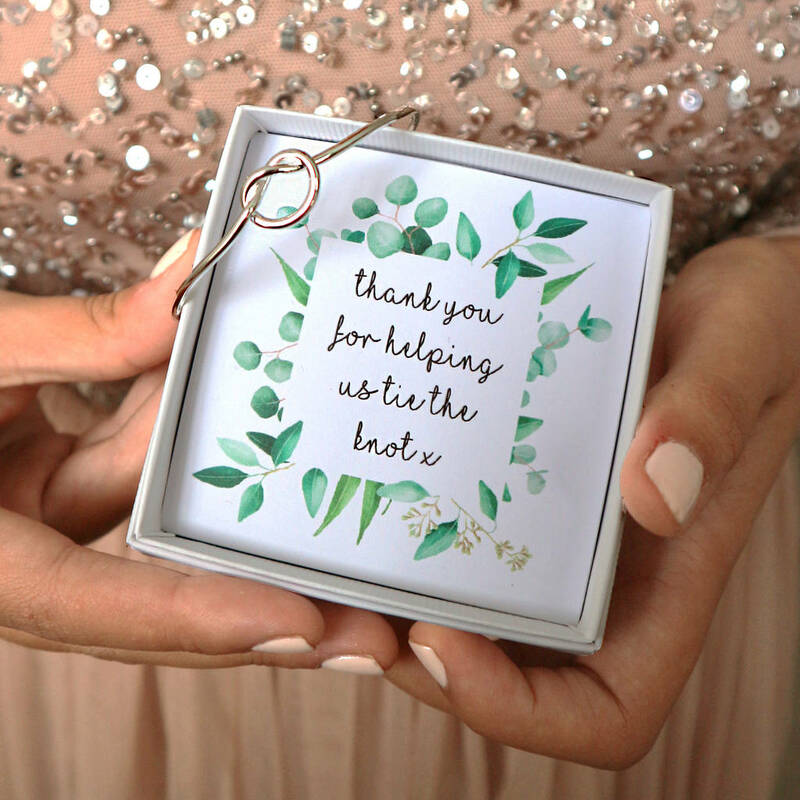 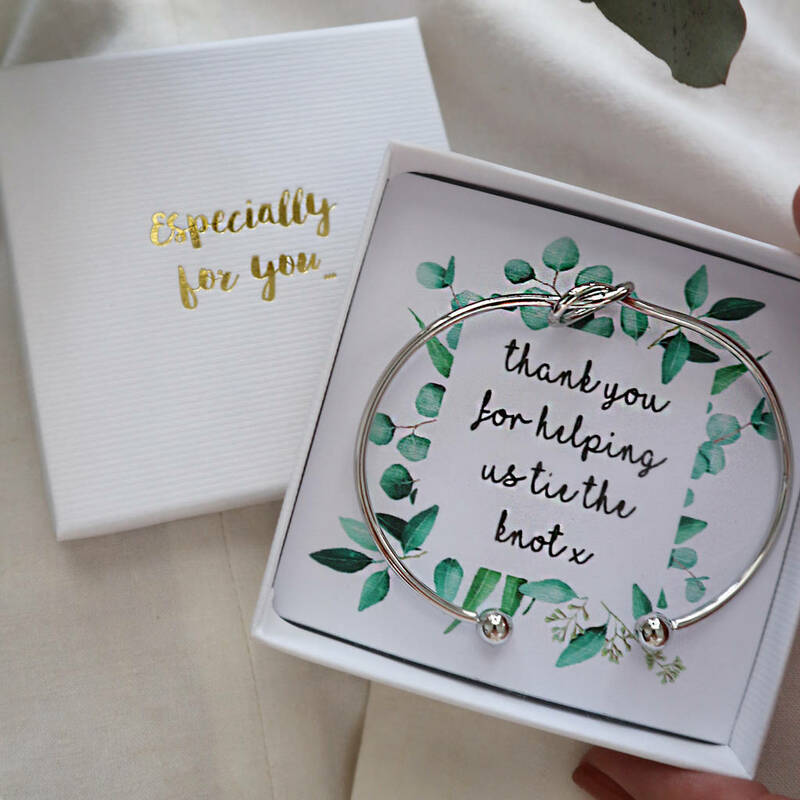 Inside the box you will find your choice of bangle alongside a 'Thank you for helping us tie the knot' eucalyptus illustrated card.